Download a Walking Tour Map of Solar Hill showing the location of the historic markers and their narratives. 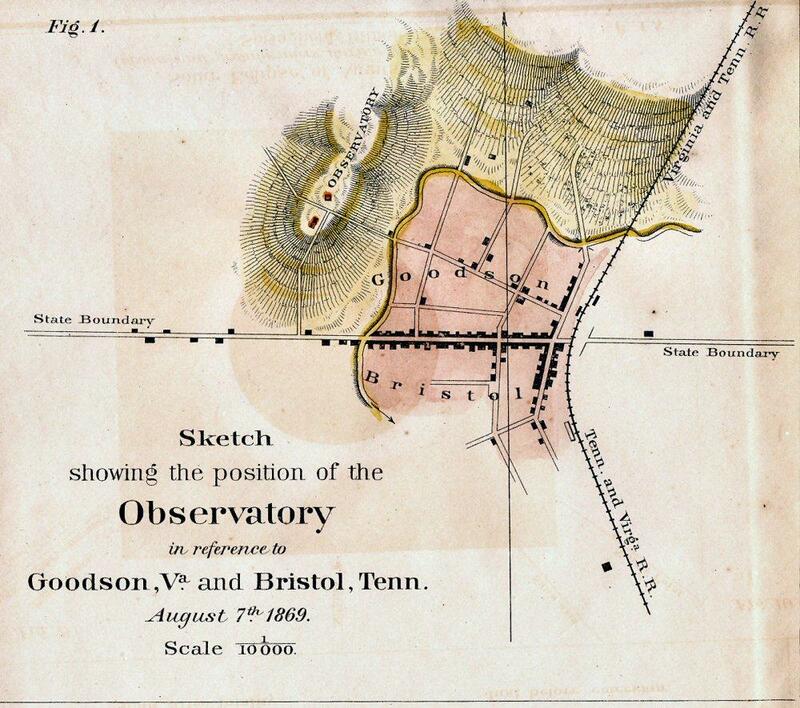 In 1869 an astronomical observatory was located on a hill in Bristol to view the total solar eclipse of August, 1869 (NYT Observation Arrangements, NYT Baileys Beads, NYT Eclipse Accounts). The area was named Solar Hill after this observatory (see map). 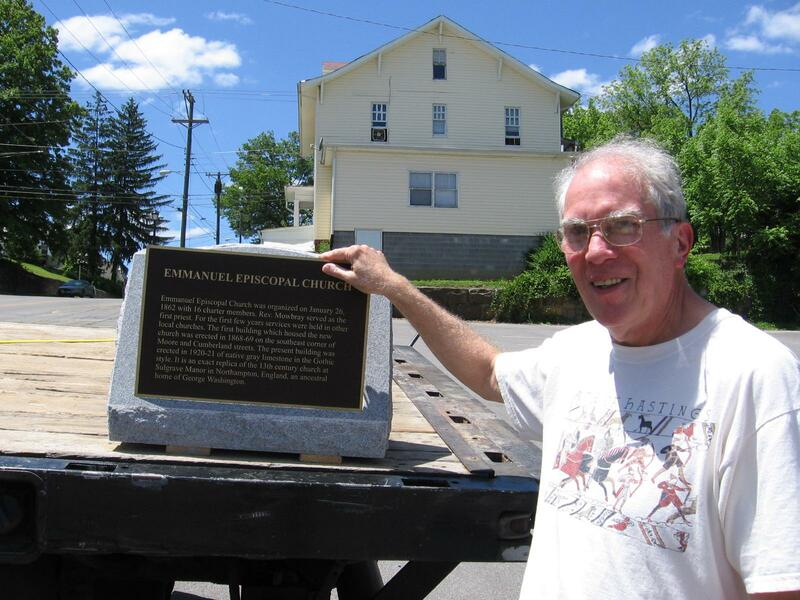 Some of Bristol's most colorful history occurred in the area, including stories involving several men who later became U.S. presidents. A regular visitor to the area was Andrew Jackson, who frequented the King mansion and was escorted to Washington for his inauguration by William King. Andrew Johnson was injured in a stagecoach accident when a hornet flew into the coach, causing passengers to flee and spooking the horses. The coach overturned near what are now King and Sullins streets and left him with a scar he carried for the rest of his life. In 1999 Bristol spent $10k to survey the area to see if it could qualify for National Historic Register status. 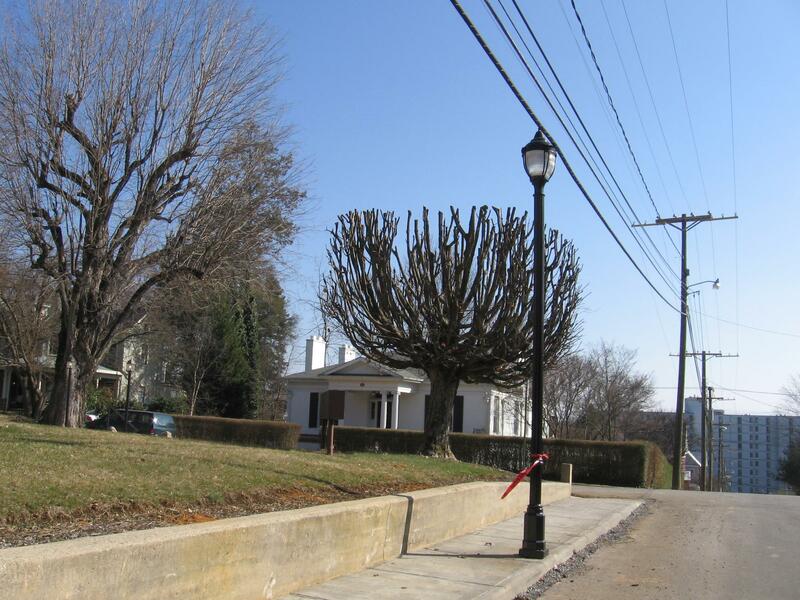 In 2001 Solar Hill became the first Bristol, Virginia neighborhood listed on both the Virginia Landmarks Register and the National Register of Historic Places. 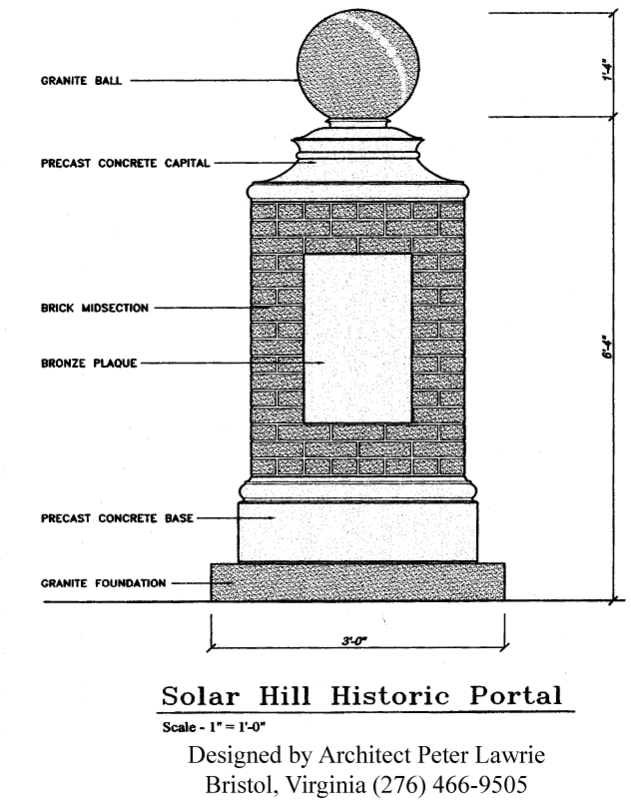 In 2003 the Solar Hill Historic District Association formed to seek grant money to improve the neighborhood. Currently we have over 100 members. We have completed an Enhancement Program application for the Virginia Department of Transportation (VDOT). The program funds pedestrian projects and gives special consideration to projects that include a tourism element. According to a recent survey by Smithsonian Magazine and the Travel Industry Association of America, 81 percent of U.S. adults who traveled were historic/cultural travelers. The study also found that travelers spend more money on historic/cultural trips. Virginia was listed among the top 10 states visited by historic/cultural travelers. Bristol is located halfway between historic Abingdon and Jonesborough and should be able to attract tourists visiting those towns. The Solar Hill Historic District is already the site of walking tours hosted by Bud Phillips and Christmas historic homes tours to benefit the Tri-Cities Christian Schools. Our project would help ensure the preservation of Bristols oldest residential neighborhood. Solar Hill reached its peak in the early 1900s. Today it is one of the most economically diverse neighborhoods in Bristol. Residents have invested heavily in maintaining estate-sized homes and improving the neighborhood. Their taxes have risen accordingly. Bristol City Council has shown great insight in supporting the Train Station and Library projects, and in finding ways to attract revenue to the city at locations such as Exit 7. Our project would help attract revenue to our historic downtown area. The Enhancement Program requires a 20% funding match. The total cost of the project is about $441k. The city's 20% match will be about $88k, which will be quickly recovered by property taxes from the Solar Hill area. The city would receive about $353k that it would not otherwise have -- an over fourfold return on its investment. The project has been approved by the Bristol Metropolitan Planning Organization (MPO) Board and the Bristol City Council, which passed resolutions of support on February 24 and October 12, 2004. The grant application was submitted to VDOT in March, 2004. VDOT awarded $165k toward the project. The application was resubmitted in November, 2004. VDOT awarded the remaining $188k required to complete the project. The City of Bristol will provide a 20% match of $88k, making $441k available for the project. Postscript: the City delayed the project until 2009, during which time construction costs rose, and also underestimated project cost. Ultimately the City provided over $100 thousand to complete the $600k+ project. Post lights go up in Solar Hill and the Solar Hill monument and historic markers arrive for installation. Read more about historic Solar Hill homes at www.bristolhistoricalassociation.com. Architect Peter Lawrie, grandson of sculptor Lee Lawrie who designed the statue of Atlas in Rockefeller Center, designed the monument for the Solar Hill Project.